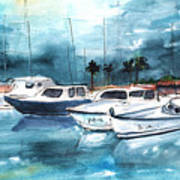 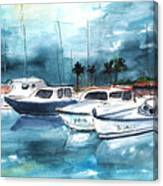 Watercolour and ink travel sketch painting of boats in the harbour or Port Alcudia on the Balearic Island Majorca. 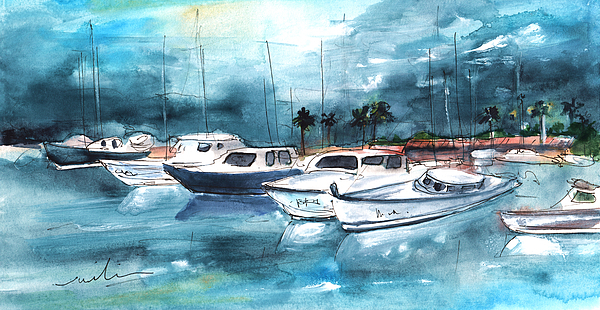 Painted on site during a painting trip to Majorca in March 2015. 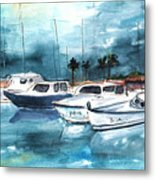 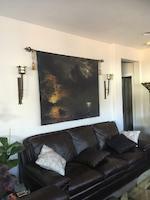 When I arrived to Port Alcudia, where I was to be based one week, in the middle of the afternoon, the sky was extremely dark and I was fascinated and artistically inspired by the contrast with the white boats.